Summary: Here is the transcript of our March 2 afib community chat where the atrial fibrillation experts at the Cleveland Clinic answered your most pressing questions. There were too many questions to answer in the time available, so we will continue to post as the doctors get more questions answered. Transcript is reprinted with the permission of the Cleveland Clinic. Atrial fibrillation is the most common heart rhythm abnormality. While it is often a mere annoyance, it is a common cause of stroke and can also be responsible for life-threatening medical emergencies that result in cardiac arrest and sudden death. Dr. Walid Saliba, Dr. Mandeep Bhargava and Dr. David Van Wagoner from the Cleveland Clinic joined Mellanie True Hills, Founder and CEO of StopAfib.org, to answer your questions about atrial fibrillation. The chat transcript appears below. Please note that the comments below are the opinions of the Cleveland Clinic doctors, and if you quote these opinions elsewhere, please reference the specific doctor whose opinion you are quoting. clara: I have read that some people do not know they have A-Fib. If one has CAD, does that put them in a higher risk? Dr David Van Wagoner: The main risks of AF are related to stroke and heart failure. CAD can be a cause of AF. If you have significant coronary occlusion, a surgical procedure (bypass graft) might be performed that would simultaneously treat your CAD and AF (via a Maze procedure). sidepocket: Specifically, how is cure defined regarding ablation for A.FIB? Dr Walid Saliba: A significant decrease in episodes of atrial fib to a level that is satisfactory to the patient. denalidon: My Mother -in Law is 91 and recently diagnosed with AFib. She is in good health except for high blood pressure. She had fluid build-up and high pulse, so was hospitalized and given a diuretic, Metoprolol and put on Coumadin. When released (about 2 weeks ago), her fluid was reduced and rate normal. She does not feel the AFib. Her cardiologist intends to leave her in permanent AFib. Is this a good policy? Shouldn't rhythm control meds be considered? She could again build up fluid, and permanently dilate her atrium. Should the Dr. consider Pradaxa vice Coumadin? Thanks in advance for your answers! Dr Mandeep Bhargava: For her age this may not be an unreasonable strategy; you can consider rhythm control in case she has recurrence of symptoms. If she is doing well on Coumadin, then that is good as Pradaxa has a higher risk of bleeding at this age. micha: I am diagnosed AF and am on Rythmol and low dose aspirin. I never feel my heart beating but my BP monitor shows irregular heart beat occasionally. I have maybe 2-3 episodes per year lasting 15 min to a couple hrs of light-headedness and/or tired feelings. Must this be a progressive disease and will I eventually have to use blood thinners? I am 73 and wonder how long this might take? I now avoid triggers and am doing better. Dr David Van Wagoner: Different patients have different rates of progression. Rythmol is a relatively potent antiarrhythmic medication, and it is not necessarily the case that you will progress beyond paroxysms of AF. Maintain a healthy lifestyle, exercise and watch your blood pressure. These choices will help with minimizing the progression of AF. MatthewS: For a 58 year old male in very good health besides 4 years of persistent, asymptomatic afib: I have a slightly enlarged heart, with a very mildly lowered ejection fraction. What is the likelihood that is caused by the afib, or something else? Dr David Van Wagoner: From your description, it is not possible to determine which condition came first and caused the others. AF and heart failure are very interrelated. An increase in heart rate (tachycardia) caused by AF can increase the risk of cardiac hypertrophy (enlargement) and failure. In such cases, treatment of AF can sometimes reverse the tachycardia-induced ventricular dysfunction and improve the cardiac ejection fraction. However, the initial presence of ventricular dysfunction can also increase atrial pressures, increasing the risk of atrial fibrillation. In this case, treating the AF will not necessarily improve ventricular function. Nosmada: Is there value in checking for an elevated c-reactive protein level as it might relate to recurring episodes of a-fib? Dr David Van Wagoner: In studies at the Cleveland Clinic, we were the first to note an association between elevated C-reactive protein (CRP) and the incidence of AF (see PubMed). We found that individuals with increased CRP were more likely to develop persistent AF than those with lower CRP levels. As you know that you have AF, it may be more helpful for you to focus on your diet (more vegetables, less sugar and fat) and lifestyle (more exercise) – interventions that are likely to lower CRP – rather than on measurement of CRP, per se. Daisydog: I have had a-fib for several years. Did not know what it was until I went to the Dr. and had a battery of tests. I am 70 and in good health, still am working. I take a calcium channel blocker, one per day. Also take a antiarrhythmic but do not tolerate it well, starts with an L. My cardiologist advised that if I have a bad attack take 3 at one time. The antiarrhythmic (1) seems bring on the a-fib. I am concerned about taking three, or that matter any. I do tolerate the calcium blocker well, but not the other medicine. I continue to have episodes. Am also scheduled to have a sleep study in two weeks. Do not know if this is necessary, but will do it. Any advice? Dr David Van Wagoner: Risk factors for AF (and stroke) include age, sleep apnea, hypertension, diabetes. At age 70, if you have frequent episodes of AF your cardiologist will likely recommend an anticoagulant to help lower stroke risk. If you have sleep apnea, treatment with CPAP may help to control blood pressure and lower the risk of stroke, hypertension and AF. It is important to communicate with your doctor about side effects that you experience. Afib2005: In 2005, I was diagnosed with Afib. Since then I have been through a sleep center (no disorders), had 3 cardioversion procedures, an ablation, valve repair surgery in 2009, pacemaker in 2010 & take variety of meds: amiodarone, metoprolol, Pradaxa, pravastatin, mag 64, klor-con as well as other meds from my GP for chronic UTI, low thyroid level, anxiety meds, etc. Even though my Afib may be somewhat improved, it is still a concern. I have no pain, shortness of breath, etc. but do have real problem with anxiety when events occur. What, if anything is left to try? Dr Walid Saliba: If you are having symptoms with atrial fibrillation (anxiety can be one of them) and you have failed therapy with amiodarone, then an aggressive approach such as ablation is not unreasonable. You have already had an ablation and in a fair number of patients a repeat ablation may be necessary. We would be happy to provide you with a second opinion. david740: Do you foresee the use of stem cells to correct the cellular problems in the heart that seem to cause afib? Dr David Van Wagoner: This is an interesting question for which no data are currently available. If AF is caused by loss of atrial myocytes, stem cell therapy may be useful. If ectopic activity originating from your atria is responsible for AF, stem cell therapy would seem less likely to be helpful. This will be an interesting area for future research. mason: Are there certain triggers for A-Fib episodes or do they happen randomly or both? Dr Walid Saliba: In some patients certain specific triggers can be identified; however, in most of the patients the episodes will occur rather randomly. blake2: Have you ever seen A fib caused by dehiscence from a previous surgery allowing pressure to be applied somewhere abnormally? I have often occurring paroxysmal idiopathic A fib and some dehiscence from a previous cholecystectomy. I have convinced myself this is a probable cause and would appreciate any enlightenment you can provide. Dr Mandeep Bhargava: It is unlikely that your atrial fibrillation is caused by your wound dehiscence. However, never say never in medicine. oldchelsea: Does any of your research show a relationship between fluid retention and a-fib. For me, excess fluid usually brings on an episode. Yes, I watch salt intake and take a diuretic. Dr David Van Wagoner: Although AF can cause shortness of breath, it does not preclude moderate exercise. With respect to fluids, hypertension is a primary cause of atrial fibrillation. Increased plasma volume causes the atria to be dilated (like a balloon with increased pressure). This causes regional changes in the electrical activity that promote the initiation of AF (ectopic activity), and changes in conduction and repolarization that increase the duration of AF episodes. fayerat: What is your opinion as to how the vagus nerve contributes to Afib? Dr David Van Wagoner: The autonomic nerves which regulate digestion, breathing and blood pressure also have important effects on the heart. The vagus nerve slows heart rate and is particularly important as a modulator of digestion. Vagal activity varies in predictable cycles during the day (circadian rhythm). Stimulation of the vagus nerve by eating, drinking and swallowing can act as a trigger to initiate episodes of atrial fibrillation. There are antiarrhythmic drugs which do not significantly affect metabolism. Please discuss this issue with your cardiologist. fibberken: Can a pacemaker go bad and cause afib? I have a DDDR pacemaker since 1999. New one in Sept 2008. In Aug of 2010, 2 incidents of the pacemaker resetting and then an increase of afib from 1 to 2 incidents per 6 months to 300 to 500 per 6 months. Noise on one lead & set for pacing. Pacemaker checks ok by company. Dr Walid Saliba: You have to make sure that the incidents recorded by pacemaker are true atrial fib and not noise detected by the device and called atrial fib. The natural history of atrial fib is progressive increase in duration and frequency of episodes. JaniceBee: I was recently dx'd with A-Fib. I had two cardioversions and TEE's plus an ablation. I went to a sleep clinic and found out I have sleep apnea so use a C-Pap. I wake up tired and am tired for most of the day. Could this fatigue be C-Pap related, or A-Fib? Or I have been dx'd with MS in 1999. Dr Mandeep Bhargava: Your fatigue could be multi-factorial. In general sleep apnea can predispose to having atrial fibrillation but is not the only cause. Treating sleep apnea may decrease the burden of atrial fib in some patients. But - a fair amount of residual afib may persist in most patients. Marguerita: Are there any national studies around AFib in young adult healthy, athletes? My healthy 22 yo son was diagnosed with Afib 2 years ago and it appears the treatments used are "experimental" in this age group. He does go to the University of Penn in Philadelphia EP specialists, but when I ask about long term results about his recent ablation they have limited info they can give because of the relatively few healthy young adults with the condition. Dr David Van Wagoner: AF is quite uncommon in individuals in their 20s. As a result, there are few systematic studies in these individuals. Highly trained individuals often have a very slow resting heart rate and a large heart, due to the impact of exercise. These factors can increase risk of AF, and there is an association between AF and long-distance running (see PubMed). 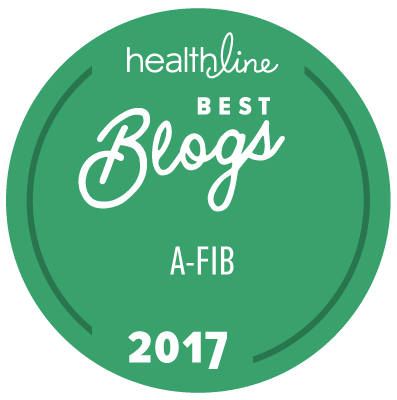 Makman66: I am a 64 yr. old male who was diagnosed with Afib in 2004 though I was a great physical condition and had no symptoms or family history. Is it true that long distance runners have a greater propensity to Afib because of the enlargement of the atrial cavity? Dr David Van Wagoner: Yes. Long distance runners typically have a slower resting heart rate and a larger heart, due to the impact of training. There is some literature to suggest that marathon runners experience transient heart injury. This may also promote the development of atrial fibrosis that can further promote increased duration of AF episodes. Sunpokebill: My wife has sarcoidosis. Can sarcoidosis be a contributing factor with atrial fib? She has been a long-term patient regarding afib and has had sarcoid just as long. Dr David Van Wagoner: Yes, sarcoidosis is an inflammatory condition that is strongly associated with increased risk of AF and other arrhythmic complications. Please see the attached link to a freely available review (PubMed). Hfindling: I am a 65 yo male in pretty good shape, I work out every day running at least 3 to 3.5 miles, swim 30 min etc. I have a low resting heart beat 40 bpm and have been experiencing increasing episodes of af every 4 to 7 days lasting around 18 hours. This doesn’t affect me so much other than I can't work out during an episode. I find that the episodes usually start more often after eating. What are the chances that the af will become permanent and if so what my options are. Should I do something before it becomes permanent in that I've been told once permanent my options will be limited. Dr David Van Wagoner: The heart beat normally begins with electrical activity from the sinoatrial node (SAN). If your resting heart rate is slow, activity originating from other regions of the heart can compete with that originating in the SAN and collide to initiate atrial fibrillation. The observation that eating (or drinking) acts as a trigger for AF is common, and reflects the activity of the vagus nerve, an important element in the parasympathetic nervous system. Vagal nerve activity typically further slows heart rate and is a common trigger for AF. One possible treatment for very slow resting heart rate is a pacemaker implant with atrial pacing. This can suppress the activity of the other sites, decreasing the risk of AF. lala444: I have paroxysmal atrial fibrillation and one of the issues I have is quite a bit of chest (bronchial) discomfort and throat tightness. I am wondering why this is, as my doctors have not really answered that. It is worse than the afib, to a degree. Dr Walid Saliba: Afib can have a variety of symptoms including chest discomfort. This may be related to a fast heart rate. It would be interesting to see if these symptoms go away with rate control. rower: I have paroxysmal atrial fibrillation. I exercise 3-5 times a week. The routine is 30 minutes on a bike, 2000 meters in 8.5 minutes on Concept 2 rowing machine, and finally, a 9 minute 1 mile run. Approximately every two to three weeks either during rowing, running or after finishing my exercise routine, my heart will go into a fib. The attack lasts approximately 18 hours or so and then my heart returns to rhythm but my blood pressure is very low (108/66); my normal is 125/66. My question is "are these attacks damaging my heart muscle more than the exercising helping my heart?" Age:67, male, white, 188lbs, 71" ; meds: lisinopril 20mg, Zocor 80mg, aspirin 320mg and nothing else but vitamins. Dr Mandeep Bhargava: Most often patients have variable symptoms with atrial fib - your treatment will be based on the extent of your symptoms. Long-term in some patients, may develop heart muscle dysfunction as a result of persistent or recurrent atrial fibrillation. Dr David Van Wagoner: Flecainide is a sodium channel blocker and a relatively potent antiarrhythmic drug. As long as you have no coronary artery disease, flecainide has a good safety profile. The impact of flecainide on heart rate may have some impact on your exercise capacity, but should not be a major concern. pei2: I had heart valve replacement surgery in December 2010. I am currently on Amiodarone 200MG (1/2 tab daily). I have noticed several episodes of an irregular heartbeat. Shouldn't this med curtail this problem? Dr David Van Wagoner: The efficacy of antiarrhythmic medications varies significantly from person to person and can change over time in an individual, as the heart changes as a function of age and cardiac function. Your cardiologist may suggest that you increase the medication dose or suggest an alternative drug. bobblock00: My wife, age 69, recently had an ICD implant. A week after the implant she went into atrial fibrillation. Her afib is asymptomatic. She came out of afib after 2 days and then went back in a week later. After a month of afib, the EP converted her (using her ICD) and she stayed out for 2 weeks. She is now back in afib. She is on Pradaxa 150 mg. and betapace 80mg. Her ventricular rate is OK. If she is brought out of afib again, it seems likely that she will go back in. What are the consequences of long term afib? Are there other meds that should be tried? Is an ablation advisable? Also, is there a problem with commercial flying either while in or out of afib? This summer we are planning to spend a month in the mountains, staying at 6000 feet. Is this a problem? Dr Mandeep Bhargava: It is likely that she would have recurrent atrial fib. The treatment is purely based on symptoms. Long term effects on longevity are unknown. She can try other medications and if these don't work then ablation would be a reasonable consideration. There should not be any contraindications for flying into the mountains as long as she feels ok.
liesel: I have had 7 A-Fib episodes in a year and a half. Pulse raced between 120-180; took at times from 2 to 6 hrs. to go into sinus rhythm. Was hospitalized for it once. Was given Cardizem, Heparin, cordarone drip; then was given Sotalol for 2 weeks, which was discontinued since I could not tolerate. Currently I am not on any specific anti-arrhythmia drug. I take Plavix, 81 mg Aspirin, 25 mg metoprolol, Crestor 10 mg. I have 2 bare metal stents in LAD, 1 medicated stent in first marginal. Stents in LAD had radiation therapy after 3 months due to blockage. That particular stent was diagnosed 50% blocked in late 2009. I do have moderate mitral valve prolapse. During the A-Fib episodes I chew 1-2 whole Aspirin, take 1-2 Xanax. Question: Is there a medication I could take just during the episode to shorten the duration. Possibly 1 or ½ extra metoprolol??? Dr Walid Saliba: It may be reasonable to take an additional dose of metoprolol under your doctor’s guidance as it has to be safe for your heart rate and blood pressure - to control your heart rate during episodes of atrial fibrillation. You have not tolerated Sotalol and are not a good candidate for certain drugs due to coronary artery disease; catheter ablation may be a reasonable option for you to consider. Metoprolol may reduce your symptoms but not reduce your chances of having atrial fibrillation. dfgajew: I had an episode of rapid heartbeat (146 for 30 min) while gardening. Did echo stress test and had an afib event. Recommendation was to take daily baby aspirin. Is that all I need to do? What types of things could have caused this? Dr Walid Saliba: Vigorous exercise can sometimes be a trigger for AF episodes. If it is transient (minutes to hours), the risks are low. Treatment depends in part on your age and the presence of other risk factors (hypertension, diabetes, etc.). If you are young (<65 years) and have no other risk factors, your current treatment may be adequate. If symptoms or frequency of AF increase, please communicate regularly with your cardiologist. Dr David Van Wagoner: Anticoagulation helps to reduce the risk of stroke and a beta blocker can help to prevent heart failure. If you are elderly and the AF is not symptomatic, this treatment may be adequate. If your AF is symptomatic, you may wish to investigate options for terminating the AF (via drug treatment, catheter- or surgical ablation). Your cardiologist or a cardiologist at the Cleveland Clinic can help you with the decision making process. CAresident: My 78 yo mother was diagnosed with lone aFib in 2004 with occasional episodes of limited duration over the years that resolved themselves. In August, 2011, my mother developed persistent aFib and had a PVI ablation done at UCSF in November, 2011. The persistent aFib returned within days, leading to congestive heart failure within a week. Incredibly, within one hour of her first dose of dofetilide/Tikosyn in December, my mother was back in sinus rhythm and has been in sinus rhythm ever since. My question is whether patients take dofetilide indefinitely if it seems to have been effective. If so, what kind of monitoring, if any, is necessary in terms of regular blood tests such as to test kidney function? Are there concerns about long-term dofetilide use? Dr David Van Wagoner: Long term use of dofetilide can help to maintain sinus rhythm, and can help cardiac function to improve. While dofetilide toxicity is not significant, your mother should have regular monitoring of her ECG. Changes in renal function can affect blood levels of dofetilide. If renal function declines (as a function of aging), the dose of dofetilide may need to be adjusted. nutzy: I'm taking for almost two years Multaq 400mg twice a day also valsartan concor10mg and lipitor 20mg.My atrial fib is persistent, several months am in sinus rhythms but sometimes have Atrial fib or Atrial flutter. I had undergone in 2002 a MVR replacement, in 2008 a double chamber pacemaker implant. I'm following up after all new trial in there are a lot of controversies, especially about paroxysmal and permanent afib. I check my Liver enzyme and Kidney creatinine ,uric acid every 3 months; GGT and creatinine are a little bit increased; Please let me know what is your opinion in my case. Thank you!! Dr Walid Saliba: If you are still experiencing atrial fib on Multaq, then the treatment options include change in antiarrhythmic medications; and/or the consideration for an ablation procedure. Ed95: I've been taking Multaq since Oct 09. I will go out of rhythm every 3 to 4 weeks for anywhere from 6 to 24 hours before returning to NSR. Should I be satisfied with these results? Dr Mandeep Bhargava: It is totally your prerogative; how frustrated you are dictates the aggressiveness of the therapy. joefive: My profile: 67 yoa, 6'1", 162lbs., BP: 116/64, RHR: 48-52, Chol: 166, Trglyc: 63, workout: 6 days a week, 2007: stent in my rt coronary artery, afib commenced week after stent implanted, occurs once every mo/month and a half, almost exclusively at night after I've been asleep for several hours. I take one 3omg diltiazem tablet and card normal heart rate returns within 1/2hour - 3 hours, my only other meds is one 30mg aspirin/day. Any comments re my profile? What are afib triggers? Dr Walid Saliba: Continue doing what you are doing. If episodes increase in frequency or duration or you become more symptomatic you may need to consider antiarrhythmic drugs or an ablation. You should address the issue of anticoagulation with your physician depending on your risk factors for stroke. Pei2I had heart valve replacement surgery in December 2010. I am currently on Amiodarone 200MG (1/2 tab daily). I have noticed several episodes of an irregular heartbeat. Shouldn't this med curtail this problem? Dr David Van Wagoner: The elimination kinetics of amiodarone vary from individual to individual. It typically takes 3-6 months to eliminate most amiodarone from the system. Selrahc: I switched from Coumadin to Pradaxa about one year ago. If I do not take the Pradaxa on a full stomach, I suffer from heartburn. This is often difficult to do because of the timing of the twice daily dosage vis. timing of meals. For this reason, I'm considering switching to Xarelto. What are the pros and cons of Xarelto vs Pradaxa? Do they both have the downside risks of not being easily reversible in the event of an emergency and also precluding early stroke treatment? Dr Mandeep Bhargava: Xarelto and Pradaxa are fairly similar in efficacy in recent large trials. Heartburn does not appear to be as large a problem with Xarelto. There are currently no approved reversal agents for either drugs. Mary606: What is the best way to stop bleeding from Pradaxa. Dr Mandeep Bhargava: You should stop the drug immediately. There are currently no approved reversal agents. Make you sure you contact your doctor for continued bleeding as the treatment would depend on the site and extent of bleeding. Sept14: My mother is 73, with occasional (5 times a year) A-Fib episodes for many years. She is fully aware from beginning to end. She got a pacemaker last fall after a fainting episode. She's been on Sotalol 80 BID and Aspirin 325. Last week, she had 5 A-Fib episodes lasting 4 hours or less, fully aware and the pacemaker download confirmed. Sotalol changed to 120 mg and if frequency continues, doctor would like to begin Coumadin or Pradaxa. Since fully aware of the episodes, and could remotely confirm with the pacemaker, would Lovenox ("off-label"?) be an option instead - treat the events rather than long-term anticoagulation? Is there a minimum length of episode to warrant this? Any other suggestions for episodes of which the patient is fully aware? Dr Mandeep Bhargava: The need for anticoagulation is governed by her risk factors rather than the duration and burden of atrial fibrillation. Never the less there are studies that show as little as 5 min of atrial fibrillation can contribute to risk of stroke. Taking the right anticoagulant long term would be better than taking on and off Lovenox. Her symptoms are best treated by antiarrhythmic medications or ablation procedures - as her episodes are becoming more frequent. bob3rs: I've had "permanent" AF for nearly 2 years - medications prior to an ablation in 2008. None of which were helpful. Now I am only taking 100mg of metoprolol daily - is there no other treatment to take in order to reduce stroke potential & get off of blood thinner (Pradaxa)? Dr Mandeep Bhargava: The need for anticoagulation is governed by the presence of risk factors for stroke in the setting of atrial fibrillation. The currently proven options are warfarin; Pradaxa; and some other emerging drugs. There is ongoing research on left atrial occlusion devices that would preclude taking blood thinners. Stay tuned. Dr David Van Wagoner: No, this is not accurate. Even brief episodes of AF are associated with increased risk of stroke. However, the risk of thrombus formation is time dependent, so the risk is greater for 24 hours AF than for 5 minutes of AF. RITeacher: I am a 67-year old otherwise healthy woman with paroxysmal AFib for the past year, on Rythmol 325 mg 2X day, metoprolol 100 mg 1X day, had a small stroke a month ago - all symptoms resolved !! - and am on Xarelto 20 mg 1X day. Can I stay on these meds forever or is surgical resolution of my AFib an option? I'd like to not have to stay on meds but really don't want to risk another stroke. I may not be so lucky next time. Dr Mandeep Bhargava: in view of the fact you have had a stroke, you should be on anticoagulation indefinitely unless there is a contraindication for this. Ablation or other interventional options should be guided by your burden of symptoms from the atrial fibrillation but are not a substitute for anticoagulation. Elena: Re: AFIB. What are the negative aspects of "pill in the pocket" method? I have infrequent episodes of AFIB and hate the toxic medications I have to take daily for it. Thank You, Elena I am on flecainide 200 daily, diltiazem 240 daily and losartan 100 daily. Dr Walid Saliba: There should not be any problems with the pill in the pocket approach if you have infrequent episodes. Constant therapy is indicated for more frequent episodes. Alton: I was diagnosed with Atrial Fibrillation one year ago and had been taking 100mg of flecainide and 25mg of metoprolol twice a day. A few months ago I cut the morning dose in half because of side effects. I would like to be taking less medication. I understand that the "pill in the pocket" treatment is no longer recommended. What would be the lowest dose I could take and not be at risk if I went into afib and had to increase the dose. Dr Walid Saliba: A pill in the pocket approach is reasonable for patients with infrequent episodes. HeartIssues: What are your thoughts about taking hawthorn for heart irregularities (PACs PVCs)? Dr David Van Wagoner: There have been no systematic studies to evaluate the impact of hawthorn. There are drugs which are effective for suppressing PVCs, but it is important that you first be screened to make sure that you do not have coronary artery disease. mfgold: Are there any minerals, vitamins or supplements that affect the frequency and/or duration of atrial fibrillation episodes? Dr David Van Wagoner: Although preclinical studies have suggested that antioxidants and fish oil can help to prevent structural changes that create a substrate for AF, randomized clinical trials have mostly failed to show a benefit of acute use of these vitamins and supplements in treating patients with established AF. A recent, large epidemiologic study has shown that older individuals with higher blood levels of omega-3 fatty acids (found in fish, some plants) experienced less atrial fibrillation. Clearly, the question is not entirely settled. A reasonable practical interpretation of the scientific literature in this area may be that we should focus as early as possible on modifying our diet and lifestyle (more exercise; fewer calories, less red meat; more omega-3s, from fish or plant based sources; more fresh fruits and vegetables). These interventions seem likely to have a greater impact on cardiovascular health than interventions that focus narrowly on use of vitamins or fish oil. Bottom line: eat less, eat well, and exercise moderately! Hugs: Male 67 with constant AFib. Taking Xarelto and metoprolol. Dr. says if he does cardioversion I will continue with same meds plus an antiarrhythmic. Side effects would be fatigue and dizziness. Or I can wait watchfully and live with afib which makes me tired and dizzy. He said it is my choice but seemed to lean toward waiting. Any serious downside to waiting? Nance117: I recently had my 2nd afib ablation in Nashville, this time by cryo balloon! How successful is this the 2nd time around, and also I have developed severe anxiety since the procedure! Is this normal and will it disappear in time? Dr Mandeep Bhargava: In general redo ablations are associated with an incremental success; however, every center and operator has their own experience and confidence in their approach. I would hope that your anxiety settles down over a period of time and also the episodes of atrial fib, but there does not appear to be a well-known relationship with the ablation. jbranero: After the 4th ablation I was ok for 3 weeks then the runs started again. Doctor said now are flutters. How is this possible? In case of another ablation: After 4 ablations performed, what else can they burn? It is dangerous for the atria wall that many burning? In the long term, what are the risks of that many ablations? Dr Walid Saliba: It is not unusual to develop flutter after afib ablation - this is related to ablation gaps during the procedure. These flutters need to be specifically mapped and targeted for ablation. This is usually a complex and tedious procedure that can be long and does not necessarily preclude the occurrence of new flutters. In our institution, this type of procedure is done quite frequently. After repeated ablation there is a danger of creating atrial mechanical dysfunction. rreverte: I had 3 ablations and I feel that is not the same, my heart rate, my breathing something have changed. What are the changes expected after the ablation? Dr Walid Saliba: There are several complications that can occur after ablation and needs to be investigated with your symptoms. This includes abnormalities in heart rhythm; pulmonary vein stenosis and damage to the phrenic nerve, which supplies your breathing muscle. We routinely look for these complications after each ablation, even in asymptomatic patients. Dr Walid Saliba: It is not uncommon for us to perform redo ablations as these procedures are fairly variable from center to center. It would be advisable to review the medical records of a patient like yourself to determine if a repeat ablation or even a surgical intervention would be of any help. maggiewes: What determines whether an afib patient should get catheter or surgical ablation? Dr David Van Wagoner: As surgical ablation is more invasive, it is usually performed in individuals with other underlying conditions that are corrected during the same procedure. Thus, if coronary artery disease is present and coronary artery bypass graft surgery is recommended, this might be combined with surgical AF ablation. Similarly, if mitral valve disease is present, this can be corrected at the same time that surgical treatment of AF is performed. Finally, surgery may be recommended for individuals with very enlarged left atria and increased risk of stroke. Left atrial appendage excision or closure may be performed during a surgical procedure. This procedure can significantly reduce the risk of stroke. We appreciate all your questions and we would recommend a consultation at the Cleveland Clinic. Tendashseven: Is Lone Afib that is not responding to Rx a good candidate for Catheter Ablation? How can you map the signals if you are not currently in Afib? Dr David Van Wagoner: Yes, one of the primary indications for ablation procedures is the failure to respond to medication. AF can be induced during the interventional procedure using programmed stimulation protocols. maggiewes: Is more than one catheter ablation usually necessary? If so, why? Dr Mandeep Bhargava: It may be necessary in 20 - 30% of ablations who have recurrence of atrial fib. It is mostly needed due to reconnection of electrical circuits around the pulmonary veins. Reader1946: How will you determine if my a-fib can be treated by ablation? Can you determine? Dr Mandeep Bhargava: We can make assessments regarding the chance of success with ablation depending upon factors such as your type and duration of afib; the heart muscle function; the size of the chambers; and your response to drugs. symmons: I just had a cryoablation on Jan. 12th, its been 7 weeks and haven't had any flutter or afib. Prior to that, it would be every 2 weeks for the past year. How long before we can say the procedure was a success? Also, the EP kept me on coreg, Do you think eventually he will take me off it? I am 56, male and feel great. Thanks for your time! Dr David Van Wagoner: An initial evaluation of procedural success is usually made at 3 months after a procedure, as inflammation related to the procedure can cause intermittent AF following ablation, and this is typically resolved by 3 months. Based on your age, if Holter monitoring documents no further episodes of AF at a late follow-up, your cardiologist may suggest that you discontinue the use of antiarrhythmic drugs. ralphgs: I am a 67-yr-old man in good health who has had persistent AFib for 12 months. I have a left atrial size of 4.5 cm. Cardioversion and medications have failed to restore normal rhythm. Would "simultaneous catheter and epicardial ablation" (Convergent Ex-Maze) be any more likely to be successful in restoring normal rhythm than a more conventional "pulmonary vein atrium isolation" procedure (PVAI)? Dr Walid Saliba: It appears that the success rate with either procedure in an experienced center would be comparable. However, more complications were reported with the hybrid procedure. WadeP: Hi, I'm a 52 year old male with no heart problems and in good health. I was diagnosed with Afib in Nov 2010; I was initially prescribed Sotalol and then propafenone with no success. I'm currently on flecainide and experienced 3 Afib episodes while on the drug. I usually wait 12 hrs before seeking medical help and have been cardioverted my last 3 visits to the ER. While on the meds I’ve been experiencing Afib episodes every three months. I'm currently under the care of an Internist who wants to try amiodarone. I refused the med because of its toxicity and asked to be referred to an electrophysiologist for a possible catheter ablation. My question is, would you recommend an ablation at this point or continue with the medication approach? Dr David Van Wagoner: Based on your age and stated health condition, you may be a good candidate for a catheter-based radiofrequency- or cryo-ablation procedure that would eliminate or reduce the need for antiarrhythmic drugs. Please consult with an electrophysiologist. These options are available at the Cleveland Clinic. toppa: What are the criteria to be a candidate for an ablation? I have been in AF since middle of Jan. Was on Tikosyn 125 mcg for 5 years but was dc'd in Feb. Had cardioversion in Dec which lasted only 3 weeks. Hx. of HF for 9 years. Have Biventricular pacemaker/ ICD. I am asymptomatic with AF. Dr Mandeep Bhargava: The treatment for atrial fibrillation is to relieve symptoms. How much of your heart failure is due to your atrial fibrillation can help your physician decide whether you are a good candidate for an ablation procedure. The extent of heart disease would also govern the chance of success and would need to be taken into consideration. kth: One year ago I had a pulmonary vein isolation to treat atrial fibrillation. I now have only occasional AF, but I have strange chest pain when I lie down. It calms down after a little while, if I do not change position. Could this be connected to the ablation? Dr Walid Saliba: It is less likely that your symptom is related to the ablation procedure, especially if pulmonary vein stenosis was ruled out with an imaging scan following your procedure. It may be reasonable to have your chest pain evaluated by a physician to look for other causes. phattail: Are there more advances in ablation coming in the future or currently in progress. I am a 48 yr old male who was diagnosed with A-Fib 0ne year ago and was on Amiodarone for several months and switched to Multaq a few months ago but it still does not keep me in sinus rhythm on a regular basis. I have the Greenfield Filter so there is some risk if I attempt ablation. I keep hoping if I can wait a year or two there will be a more effective tool learned with the ablation. Dr Walid Saliba: A greenfield filter does not preclude you for having an ablation - it just needs more caution. Dr Mandeep Bhargava: It is mainly a personal choice which should be made on the understanding of the risks and benefits of each option. Currently the guidelines suggest trying an antiarrhythmic medication first but there are clinical trials ongoing to address this question more objectively. RLW: What is the latest research on any surgical procedures that treat this condition? Dr Mandeep Bhargava: A maze procedure has been the gold standard surgical approach. The more recent modifications of this have concentrated on making the procedure minimally invasive or possible by laparoscopic and video assisted procedures - but not necessarily with increased success. At our center we usually recommend catheter based procedures (which achieve similar results) in patients who do not have other compelling indications for an open chest surgery. duffer50: I have permanent afib and mitral valve regurgitation with about 40% of the blood staying in my heart with each beat. Are there any methods of treatment (surgically or otherwise) that have a good success rate of fixing the afib? Dr David Van Wagoner: Yes. Surgical treatment of AF (Maze procedure) is often combined with surgical repair of mitral regurgitation. This is often effective at treating both problems, and is associated with lower stroke risk. Sunpokebill: My wife is 61 and has had paroxysmal afib since 1979. We have gone through all known meds and her condition worsens. She had an ablation 3 years ago which lasted 5 mos 3 weeks. Fibs have since worsened to every other day. My question is what else can we do? Now every time she hiccups or even coughs and especially when swallowing while eating she begins to fibrillate. Any suggestions? Usually after a 10 hr episode she has to drink lots of G2 or she almost passes out. This is becoming quite depressing. Thank you for your valuable time. Dr David Van Wagoner: This sounds like a challenging disease course. Surgical treatment of AF may be an alternative treatment strategy, but an electrophysiology consult is clearly advised. Note that coughing and hiccups suggest a role for vagal nerve activity as a trigger for AF in your wife. Maggiewes: Does surgical ablation completely eliminate the chance of stroke from afib? Dr David Van Wagoner: Surgical AF treatment variations of the Maze procedure) typically isolate the pulmonary veins PLUS remove or ligate the left atrial appendage (LAA). Clots tend to form when blood does not move. When the atria are fibrillating, clots tend to form in the LAA, as this location has limited blood flow. To the extent that the LAA is the primary source of thrombi that cause strokes in AF, surgical treatment helps to lower stroke risk. HOWEVER, thrombi can form in other locations, and it is possible that individuals with AF have increased risk of stroke. Hutch: I cannot tolerate blood thinners due to diverticulosis. Do you believe that Left Atrial Appendage Ligation is a good procedure for me to have to lower the risk of stroke? Dr Walid Saliba: The rationale for appendage ligation to decrease risk of stroke theoretically makes sense from the surgical literature but we do not have evidence based studies at this time to that effect. There is ongoing research that will have results available within the next year regarding this issue. Nosmada: Can having multiple cardioversions (15 since 2001 following mitral valve replacement) make it increasingly more difficult for the heart to want to stay in sinus rhythm? Amherstbob: I have been diagnosed with AFib and am on Pradaxa and have been scheduled for a cardioversion procedure mid-April. I am a 60 year old male with no family or past history of heart issues. How successful is this procedure and are there any issues associated with either the procedure or with the drugs that will be introduced prior to the procedure? Dr David Van Wagoner: Cardioversion is typically very successful acutely. Maintenance of normal sinus rhythm is more challenging and may require the future use of antiarrhythmic medications. Anticoagulation is typically recommended prior to cardioversion of AF episodes that last >48 hours. oldchelsea: I have episodes of a-fib that sometimes last 3-4 days. I don't go out for walks when I am episodic. Should I go ahead and get out to walk anyhow? Dr Walid Saliba: As long as you do not have significant symptoms such as shortness of breath dizziness or chest pain it is ok to continue your regular activities - even during atrial fibrillation. fit4life: I am a 59 year old male. Two years ago, I was diagnosed with permanent AF and a bicuspid aortic valve that is heavily calcified with moderate to severe stenosis. The maximum velocity and pressure gradient across the valve are 371 cm/s and 30.2mmHg respectively. Is there any point in pursuing solutions to the AF, such as cardioversion, before having the aortic valve replaced (AVR)? Is there any way to determine the interrelationship between the AF and the stenotic aortic valve? Dr David Van Wagoner: Your cardiologist may suggest that you undergo a Maze procedure at the time of surgical repair/replacement of the aortic valve. The Cleveland Clinic has several experts in these procedures. Aortic stenosis causes a buildup of pressure in the left ventricle and left atrium during its attempts to eject blood into the circulation. This causes the left atrium to become enlarged and fibrotic. An enlarged left atrium increases the risk of persistent AF and the risk of stroke. Dr Walid Saliba: The pacemaker is likely to solve your problem of slow heart rate but does not do anything for atrial fib. However it would allow your physician to give you medications to try to control your afib which he could not have done without the pacemaker. HeartIssues: I have many PACs and PVCs daily (about 50 discernible) and my cardiologist said I may get AF. Is there anything I can do to reduce my chances of getting AF? Dr Mandeep Bhargava: Atrial fib is known to be triggered by critically timed PACs. However, currently there is no evidence to suggest that suppressing PACs, unless significantly symptomatic, is of benefit. It is best to treat for associated risk factors like hypertension, heart failure, valve disease, or thyroid problems to reduce the risk of progression to afib. otis1954: I was diagnosed with permanent AFib approximately 2 years ago after having a TIA. I was put on warfarin, blood pressure medication and Diltiazem. I was removed off of the Diltiazem a year later because the physician said my heart rate was dropping too low while I was sleeping. At this time, he said I will probably need a pacemaker in the future. My main question is he has not recommended trying any of the surgical procedures I have researched. Do you feel it would be worth trying something or maybe seeing another cardiologist? I am a physically fit 57 year old male. In case I didn't mention earlier I am in permanent AFib. Basically have an irregular heartbeat. I haven't had any issues of fast heart episodes. Dr David Van Wagoner: A second opinion is often a good idea. Hypertension can be a primary cause of AF, sinus node dysfunction and TIA or stroke. Having your blood pressure well controlled is very important. If your atria are not severely dilated, you may be a good candidate for a catheter ablation procedure. If your heart rhythm is irregular or slow when in normal sinus rhythm, a pacemaker may decrease the odds of AF recurrence. Seek out another opinion. Fugazi: What causes a very slow heartbeat that required a pacemaker? Dr Walid Saliba: Pacemakers are usually implanted in patients for whom the activity of the sinus node (the location that initiates the heart beat) has become very slow and/or erratic. This condition is called “sick sinus syndrome” and can be due to changes in the structure of the atrium, with an increase in fibrous tissues as a result of hypertension or coronary artery disease as a common cause. In some individuals, sinus node dysfunction may be the result of underlying genetic variations in the structure of ion channels that regulate sinus node electrical activity. Pacemaker implants are safe procedures and effective at maintaining an appropriate heart rate. sadiegrey: I have frequent Afib & usually go to ER to get back into rhythm as my heart rate is usually 180-190. I recently did a week heart monitor and it showed paired PVC's a lot and 3x IVCD's. Can you tell me what the IVCD's are and what they mean. Dr Walid Saliba: IVCD stands for intraventricular conduction delay, which means that the conduction in the lower chamber of the heart is slower than normal. That is not related to atrial fibrillation necessarily. dewey: I have Afib with extended A pauses. Will the A pause go away if the afib is cured and why? Dr David Van Wagoner: The pauses may reflect sinus node dysfunction. Underlying sinus node dysfunction can act as a trigger for AF, as there can be a collision between electrical activity originating in the sinus node and from a secondary pacemaker (in the left atrium, or elsewhere). In this case, you might benefit from implant of a pacemaker at the time of AF treatment in order to address the sinus node dysfunction. Your cardiac electrophysiologist should be able to assess the status of your sinus node function during your workup for AF treatment. maggiewes: I am a 78-year-old female who started showing signs of afib about 4 mos. ago. I had no previous health problems and was taking no drugs. I am now taking Sotalol (80 mg) and Xarelto (20 mg), but I still get "breakthroughs" and have never recovered my strength of stamina. I would like to consult someone who performs neither surgical nor catheter ablation, but who can evaluate my condition objectively and advise me of the best way to proceed. Can you recommend someone in the Ft Lauderdale area? Dr Walid Saliba: Dr. Pinski is an expert in atrial fibrillation but performs ablation. You can consult with a cardiologist, such as Dr. Craig Asher, who does not perform ablations. If you have additional questions, please go to http://my.clevelandclinic.org/heart/chat_with_a_heart_nurse.aspx to chat online with a heart and vascular nurse. Please note that the comments above are the opinions of the Cleveland Clinic doctors, and if you quote these opinions elsewhere, please reference the specific doctor whose opinion you are quoting. Reprinted with the permission of the Cleveland Clinic.